Pink Street welcome to the market this three bedroom end of terrace house in Fairfield Avenue, Fareham. The property is offered with no forward chain, and is very well presented in our opinion! With its close proximity to the local schools and good access to Fareham and the M27, this property is definitely worth a viewing.  Contact Pink Street today to arrange your viewing - 02392 864555. ENTRANCE HALL Smooth and coved ceiling, wood laminate flooring, under-stairs cupboard , radiator. LOUNGE 13' 18" max x 9' 88" (4.42m x 4.98m) Smooth and coved ceiling, double glazed bay window to the front, feature fire place with surround, wood laminate flooring. KITCHEN/DINER 18' 30" x 10' 62" (6.25m x 4.62m) Smooth and coved ceiling, double glazed windows and double doors to the rear garden, wall and base units, integrated fridge, space for a washing machine, fridge freezer, built in oven and four ring gas hob with extractor hood over, one and a half stainless steel sink and drainer unit. LANDING Smooth and coved ceiling, loft access, obscure double glazed window to the side aspect. BEDROOM ONE 11' 13" x 10' 86" (3.68m x 5.23m) Smooth and coved ceiling, double glazed window to the front aspect, fitted wardrobes, radiator. BEDROOM TWO 9' 99" x 9' 95" (5.26m x 5.16m) Smooth and coved ceiling, double glazed window to the rear aspect, fitted wardrobes, radiator. BEDROOM THREE 8' 06" x 6' 88" (2.59m x 4.06m) Smooth and coved ceiling, double glazed window to the front aspect, radiator. BATHROOM 7' 95" x 6' 89" (4.55m x 4.09m) Smooth and coved ceiling, obscure double glazed window to the rear aspect, shower cubicle, bath, pedestal wash hand basin, low level w/c, towel radiator. REAR GARDEN Decking area to the front and rear of the garden, mainly laid to lawn with side access to the front. OWN DRIVEWAY Providing off road parking to the front of the property.